Mogadishu - National Union of Somali Journalists (NUSOJ) is shocked by the acts of conspiracy led by the Puntland information Minster Mohamud Hassan Soocade who had offensively threatened to use bullets and death against journalists and started direct interference to the internal affairs of the Somali Journalists and its Union. Subsequently NUSOJ strongly condemned the closure of Radio Daljir in Puntland on Thursday 23rd of June 2016. 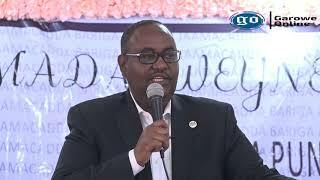 Puntland Information Minister Mr Soocade has been working a conspiracy to use Omar Faruk, the former NUSOJ secretary General, to organize journalist meeting in Galkacyo, Puntland to establish a defector wing of journalist Union, which he intends to use as a platform to pressurize the independent media in Puntland, Somalia. In his on-air interview, which the minister made the direct death threat against the journalists, Minster Mohamud Hassan Soocade said “I swear God, and I swear God and I am fasting, let alone organizations we don’t enforce laws and we don’t even consider constitutions, we have nothing else for the journalists except bullets and killing, I tell you the truth”. The ministers also added that “I don’t care about constitution, I don’t care about laws, I don’t care about anything else, we have weapons and if you point your mouths at us I promise that we will blow off your eyes with bullets, that is the truth. 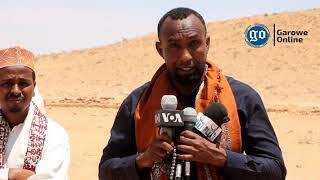 The legitimately elected leaders of NUSOJ urge Puntland authority and the government of Somalia to stop the Puntland Information Minster and Former NUSOJ Secretary General Omar Faruk Osman, who joined their efforts to crackdown the media of Puntland and Somalia. 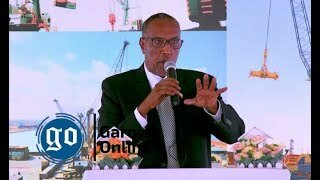 “What is going in Galkaio Puntland is a direct attack against Freedom of Expression, it is an acceptable and it is a direct violation to the national Constitutions, the Puntland Constitution and the article 19 of the Universal Declaration of Human Rights” Said NUSOJ Secretary General Mohamed Ibrahim Moalimu. 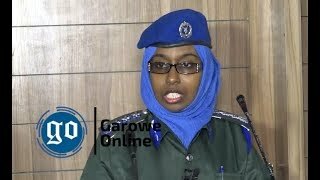 “The National Union of Somali Journalists (NUSOJ) still protests the ongoing unjustified closure of Radio Daljir stations in Garowe and Bosaso towns in Puntland, Somalia, we call on the Puntland authority to stop the so called meeting in Galkaio and Daljir radio stations to resume their operations and guarantee freedom of expression unconditionally” Finally, we call all Somali journalists to unite their efforts to counter the conspiracy Minister Soocade and Omar Faruk are masterminding and stand in solidarity with the Puntland Media and Journalists during this critical moment. Elected Secretary General of National Union of Somali Journalists. 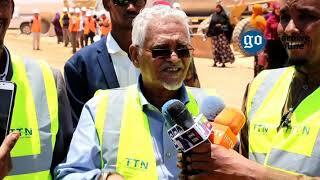 ​Somalia: Puntland shuts down Universal TV for “threatening peace"